Tips and pointers about venues, designers, and budgeting from recent brides who married in Boston, Gloucester, and Vermont. 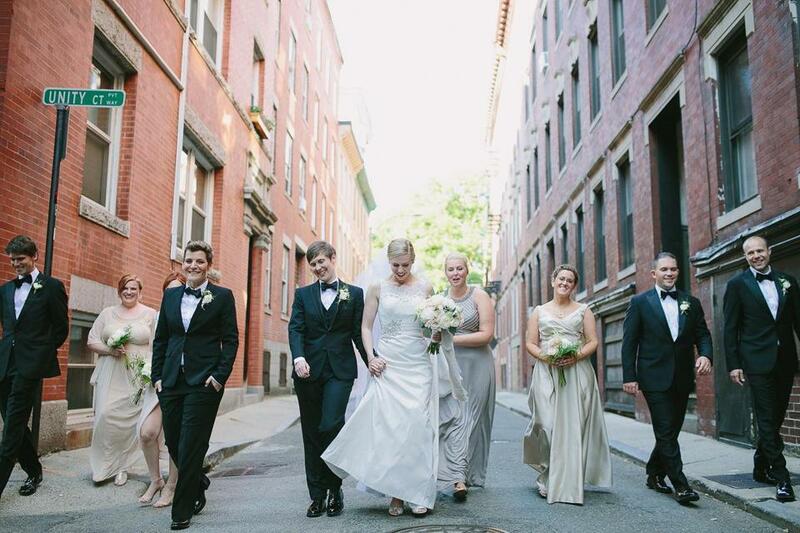 Tiffany (left center) and Samantha Elliott of Groton married at the Old North Church and roamed the North End with their attendants. When Massachusetts transplants Tiffany and Samantha Elliott decided to tie the knot after a year and a half of dating, they imagined a summer wedding that showcased local history. Samantha, a historic preservation planner for the city of Cambridge, wanted a traditional ceremony. She was thrilled when she and Tiffany, a software engineer at MIT Lincoln Laboratory, secured the Old North Church for their nuptials. For the reception, they chose the Omni Parker House, the longest continuously operating hotel in the United States. Since many of their out-of-state guests turned the June 25, 2016, wedding into a longer vacation, Samantha, now 31, and Tiffany, 36, who live in Groton, provided gift bags (with snacks, water bottles, and maps) so guests could quickly hit the streets for sightseeing. In addition, the couple hosted a welcome reception, a rehearsal dinner, and brunch, also at the Parker House, which offered discounts for each additional event held there. 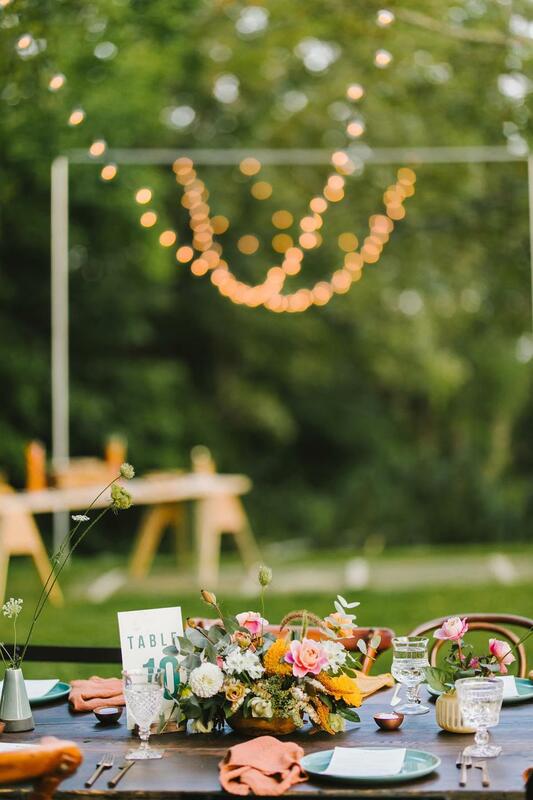 Many of their 65 guests said it was the best wedding they’d ever attended, according to Samantha, who shares some tips for hosting a seamless Boston celebration while staying within a budget. How did you start the planning process? We actually sat down and started by making a list of how people would feel at the wedding, versus trying to think of what it would look like. We knew we wanted people to feel taken care of. That’s part of the reason we chose the Parker House — because the staff does a good job of taking care of their guests, not just the wedding couple. They were incredibly helpful and took so much stress out of the process. It was hard to track down vendors within our budget — under $30,000 — that fit what we were hoping to achieve. Everything in the metro area tends to be a little bit more expensive, so finding quality people at the price point we were looking at was actually one of the harder things. But once we found those people, they were amazing. How did you deal with the logistics? We get a peek at a wedding on a Christmas tree farm, ask recent brides for tips on planning a memorable day, look at the latest cake and ring trends, and more. I made a spreadsheet with budget goals to manage everything. We had about nine months to plan, so I broke everything up into month sections. Tiffany handled things like music and transportation, and I did things like flowers and visual decor. The biggest thing we figured out was trying not to nag the other person or micromanage. Tell me about the decor you chose. Most of it came from Freecycle, Craigslist, or yard sale groups on Facebook. On Freecycle we got some lanterns and glass pillars that some people were giving away from their daughter’s wedding. On each table we did two lanterns — “one if by land, two if by sea” — that held votives, with a centerpiece, by Copper Penny Flowers in Concord, in the middle. We spent maybe $100 on decor, not including flowers. Then we ended up reselling a lot of it and recouping the costs. What did your guests love about Boston? People were just blown away by the Old North Church and the whole area. There’s a novelty to it, but then there’s also 300 years of history. 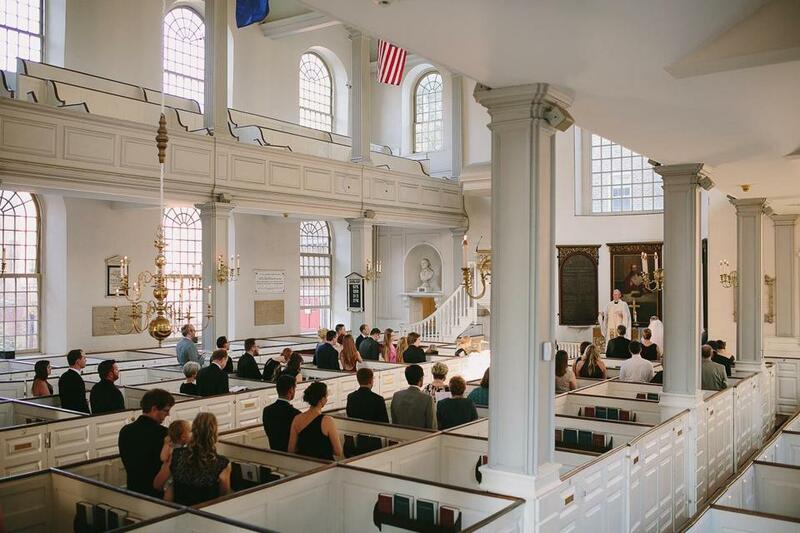 The Elliotts’ ceremony took place in the Old North Church. The South Boston couple also felt sure about something else: Their wedding would take place at Westwinds Farm, Callie’s family’s stunning horse-training facility in Woodstock, Vermont. While the choice of venue was a “no-brainer,” other planning challenges arose. 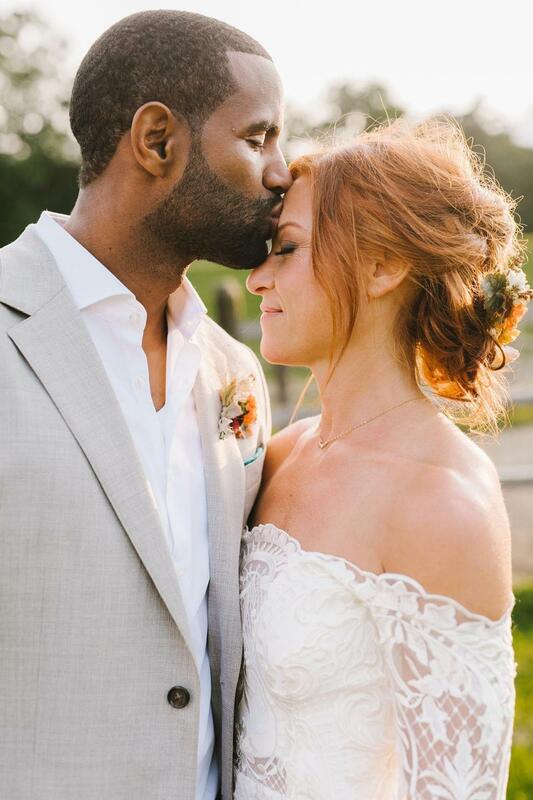 Callie DePina, now 36, head of client experience for the natural beauty product company Follain, and John, 33, a youth development manager for the nonprofit More Than Words, wanted the 400-acre site to reflect them as a couple. 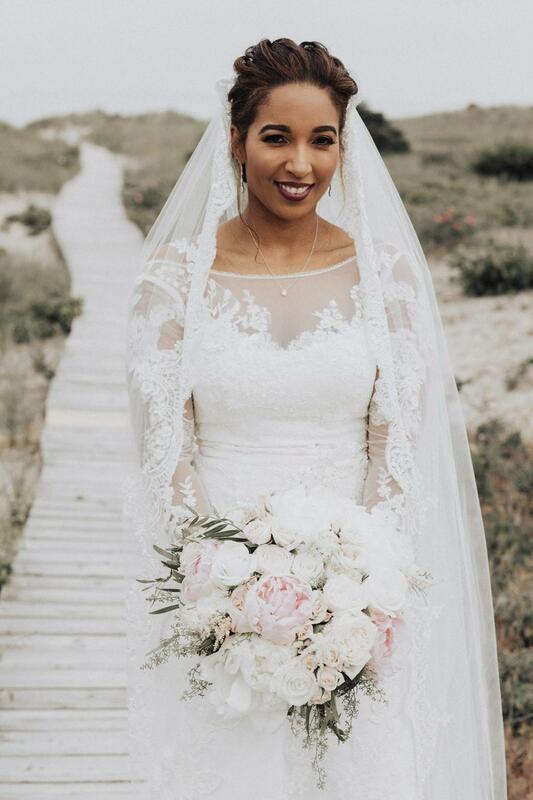 They enlisted designer Danielle McGee from Good Look’n Events & Styling to help create a bohemian urban vibe that put a personal stamp on their August 26, 2017, wedding. Callie discusses the experience. John and Callie DePina of South Boston met on Tinder and were married a year later on her family’s horse farm in Woodstock, Vermont. Would you recommend hiring a designer? Yes. It’s really helpful if you’re getting married at a venue that doesn’t typically have weddings. It also depends on the type of wedding you want to have. I know my taste and style really well and had a vision of what I wanted, but I never would have been able to pull it off. For example, I wanted eclectic vintage furniture and mismatched chairs instead of standard wedding furniture. If I had tried to do that myself, it would have been a disaster. How closely did you work with the designer? I worked closely with her via e-mail. John and I would make decisions about what we wanted to include. Danielle would send us options, and then we’d go back and forth. We used Sugarsnap Catering, based in South Burlington, Vermont. It’s mostly farm-to-table food. There was a flatbread station, a Korean barbecue station. We also had a “malt shop” station with milkshakes and mini-burgers for the kids. 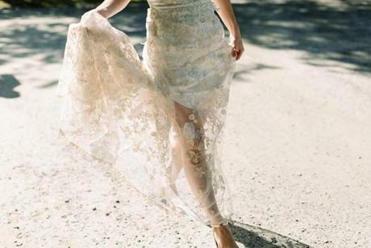 I didn’t want a traditional wedding gown, so I ended up finding some really cool independent designers that you could order dresses from online. I got mine on RevolveClothing.com for about $300. I needed something that I felt like myself in, and this one was right. The shoes came from Madewell. How else did you buck tradition? We had a cocktail hour where the ceremony was going to take place. Then we came up and said hi to people, and just walked up to the front, together. No me walking to him, no aisle. We wanted to keep the ceremony really informal and fun. Transforming a horse farm into a wedding venue was tricky but worth it. On May 10, 2015 — Mother’s Day — Carlton Jones dressed 8-month-old Catalina in a onesie that read, “Will you marry my dad?” Elsia Goncalves, Jones’s girlfriend of three years and Catalina’s mom, immediately said yes. But then the Dorchester couple took a year before planning their June 17, 2017, wedding. In finding a reception venue, they were drawn to the medieval-style Hammond Castle in Gloucester. Jones, now 32, global director of customer success and services at ObserveIT, was taken with the swords and armor on display, while Goncalves, 33, a stay-at-home mother, loved the location overlooking the Atlantic. She discusses the event, for 130 guests, and the planning process, which was guided by stylist Sarah Fisher of Tenpenny Creative in Boston. 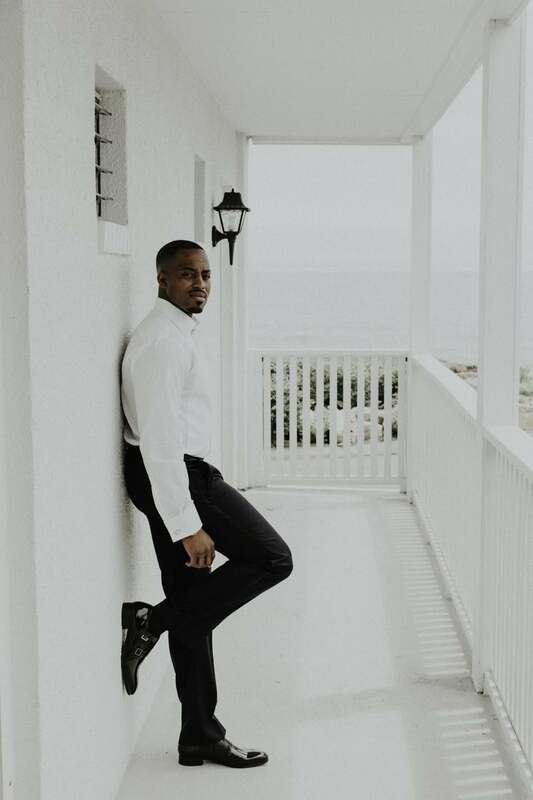 Gloucester, with its views of the Atlantic, was the perfect setting for the wedding of Elsia Goncalves and Carlton Jones of Dorchester. Why did you decide to use a wedding planner? I am a person that tends to overthink things. I get ideas, but instead of using that idea, I second-guess myself, and then I get overwhelmed and have nothing to show for it. Also, I wanted someone who had experience to interpret my vision and make it a reality, and Sarah did just that. What surprised you about planning a wedding? I’d never been part of the wedding process. I kind of assumed you’d go into a place and they would coordinate everything for you. But that’s not the case at all. Even getting things like rental equipment, and tables and chairs to match the plates. There were a lot of details, and I really didn’t consider that. Our budget was $30,000. I think we underestimated the cost of everything, and also we were a bit naive about what it took to really dress up a venue that provided nothing but its beauty. Bringing in all the vendors to make the wedding of our dreams come to life cost us a little more than anticipated. Carlton Jones takes a pre-wedding break. We used Petals Inc. in Peabody. I had a vision of using orchids because Carlton would bring them to me when we started dating. But I learned to be open to options that my wedding planner and the florist offered — peonies. I got it at David’s Bridal in Westwood. I saved a lot of money — about $300 — because it was a sample from the rack. I wanted that dress, and it was the only one they had. Any other advice? When they say it takes a year to plan a wedding, it really does take a year. Interviews have been edited and condensed. Sandra A. Miller is a writer based in Arlington. Send comments to magazine@globe.com. Follow us on Twitter @BostonGlobeMag.